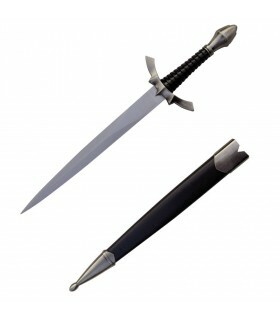 Fantasy Daggers There are 64 products. 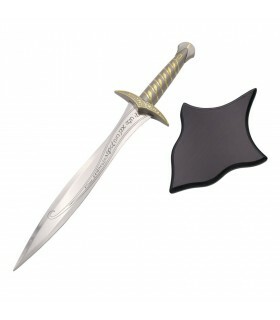 Robin Hook dagger decorated with stainless steel blade and sheath. 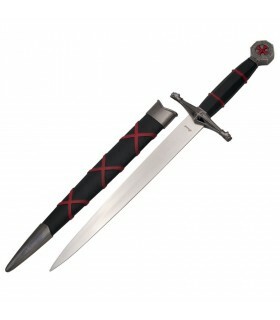 Dagger Ivanhoe with scabbard. Ivanhoe is best known for the novels of Walter Scott. It was written in 1819 and is set in England during the twelfth century, in medieval times. Its protagonist is Wilfredo Ivanhoe, a young and valiant knight. 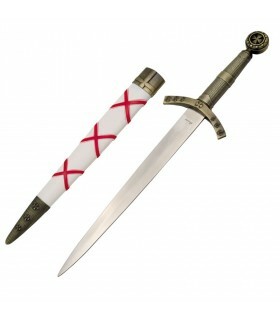 Medieval dagger with scabbard, 38 cms. 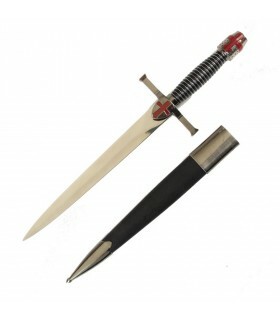 medieval dagger with a blade made of carbon steel 23 cms. Total length 38 cms. It includes sheath. decorated medieval dagger with scabbard. Blade made of carbon steel. 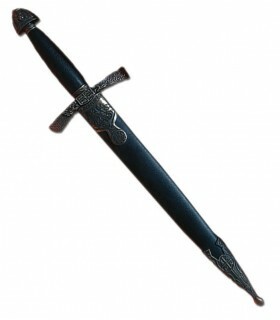 The total length of the blade is 39.5 cm. 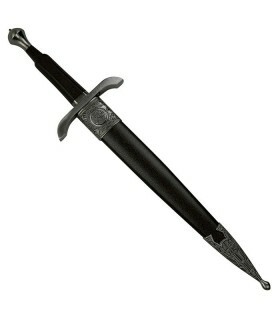 fantastic medieval dagger with stainless steel sheet. 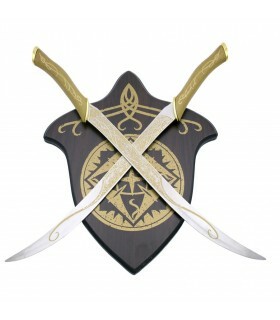 Decorative dagger Robin Hood. It includes sheath. Daga Knight Medieval decorated. With stainless steel sheet. 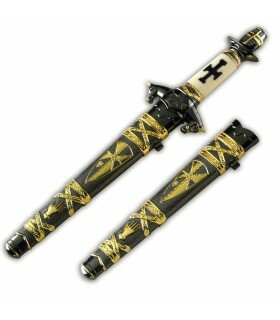 It includes decorated scabbard. 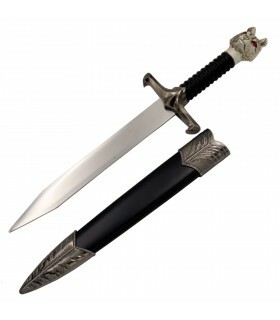 Dagger with scabbard. With stainless steel sheet. It includes sheath. 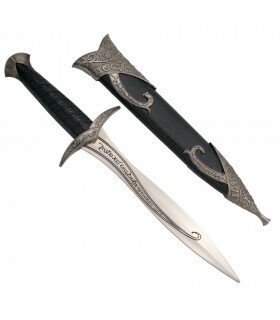 Daga fantastic "winter is coming" with silver finishes and metal sheath. 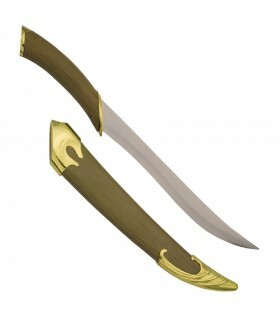 Daga fantastic "winter is coming" with golden finishes and metal sheath. Daga helmet and Templar cross, 39 cms. 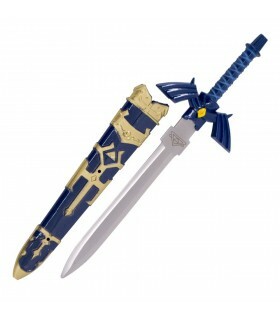 Dagger of the famous Link character from the Legend of Zelda video game saga. The sheet of our NO official replica is made of stainless steel and the case is made of plastic with golden details. 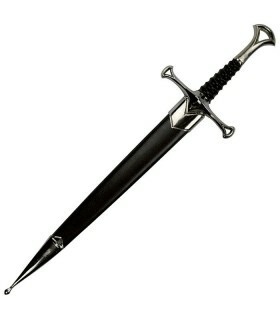 Robin Hood dagger with scabbard. Robin Hood is an archetypal hero of medieval English folklore. 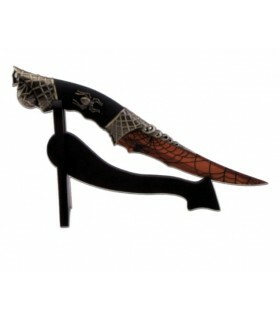 Spider Dagger with stand 30 cms. Dagger Spider 30 cms. with desktop stand. Decoration spider on the handle and spider web on the sheet. Dagger decorative dragon. Long, 41 cms. Daga decorative eagle. It includes decorative desktop stand. 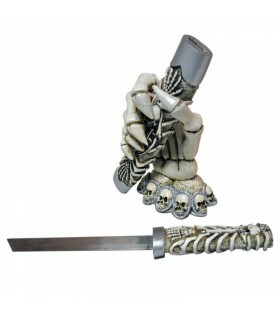 Decorative dagger skulls with desktop stand. dagger fantastic support of a dragon on top of a skull. Height 31 cms. 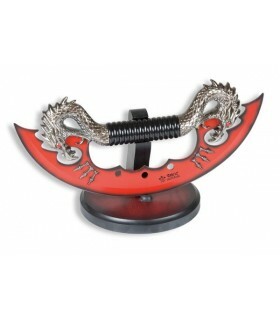 Dragon knife with stainless steel blade. 28 cms. The knife is blunt and comes with wooden tray. 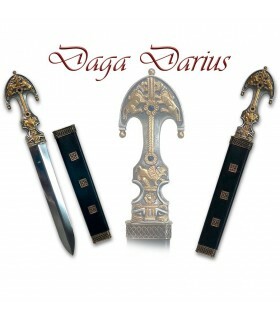 Daga recorded double-headed eagle with stainless steel sheet and metal sheath including 2 rings. The handle is ivory imitation. 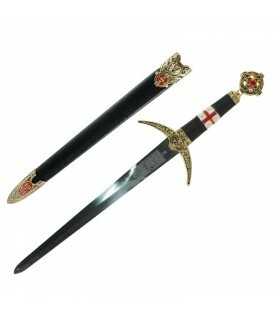 decorative medieval dagger blade 20 cms. made of carbon steel. overall length of 34.5 cms. It includes sheath. 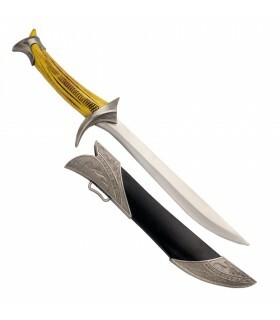 Fantastic blade forged carbon steel scabbard and metal parts. The blade is 20 cms. overall length of 34.5 cms. Alice knives movie Resident Evil. 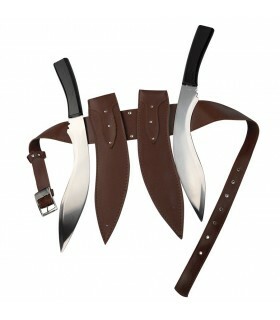 It includes the pair of knives with sheath and belt. 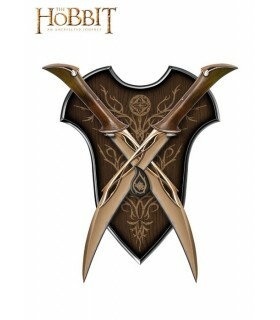 Tauriel knives Hobbit. Official licensed product. It Includes 2 knives. It includes wooden stand to hang on wall. 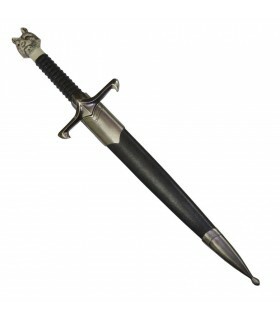 Daga Excálibur with stainless steel sheet. 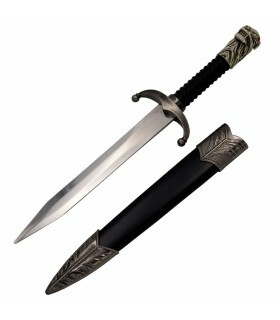 It includes leather sheath with metal details. Medieval dagger with stainless steel sheet. 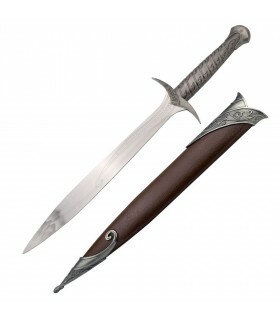 It includes leather sheath with metal details. 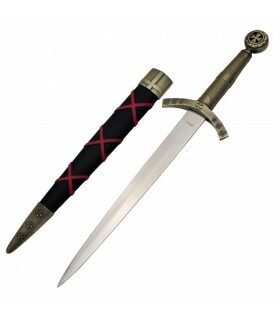 Toledo medieval dagger with scabbard sheet of stainless steel. Decorated with two-headed eagle and lion rampant. It includes sheath. Daga Darius Alexander the Great movie with certificate of authenticity. 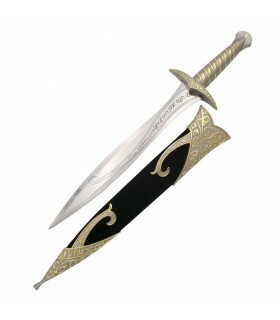 Stainless steel blade and handle in Zamak with golden decorations. 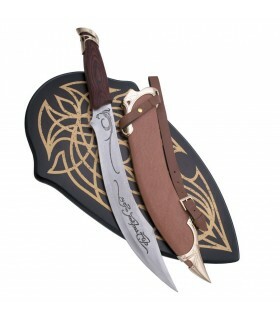 It includes leather sheath lined with metal decorations. 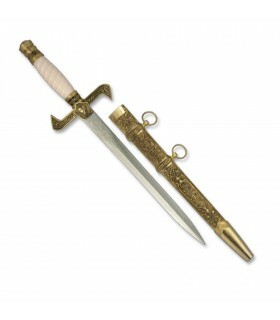 templaria medieval dagger golden, 40 cms. 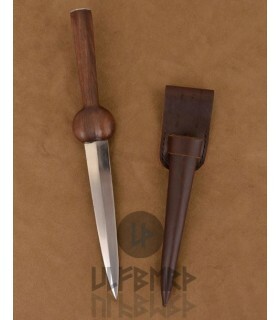 Functional Venetian styling with sheath. 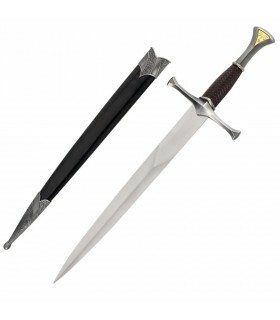 The blade has a triangular shape and is made of 1055 high carbon steel. The handle is made of wood with metal knob. 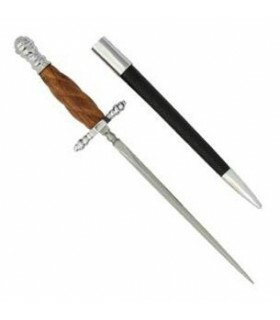 The stylus includes a leather sheathed wooden sheath. 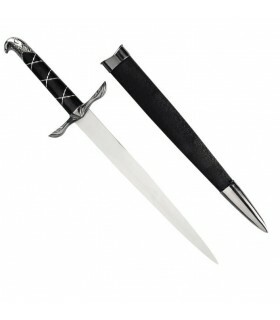 Decorative elvish dagger with carbon steel blade, black rubber grip and sheathed in black leather with metallic finishes. Knife Elf decorative black forest. Includes sheath and stand to hang on the wall. 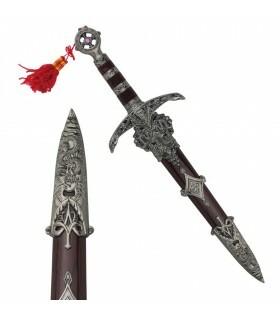 Fantastic decorative knife. 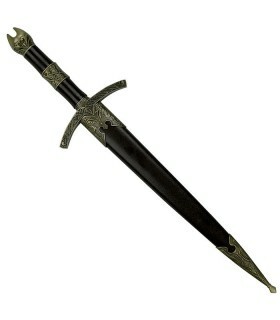 Includes brown sheath with decorated metallic finishes. 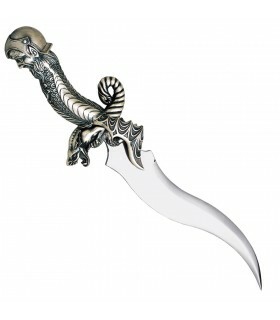 Fantastic decorative knife. 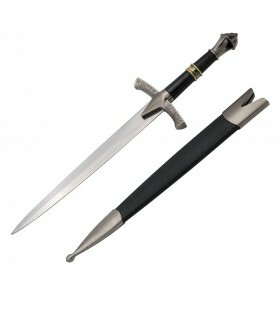 Includes sheath with metallic finishes to choose from in brown or black. 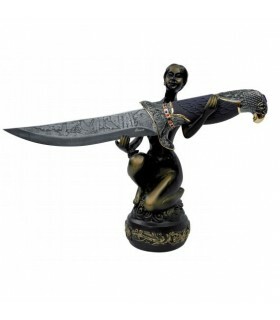 Fantastic decorative knife with wooden stand to hang on the wall. 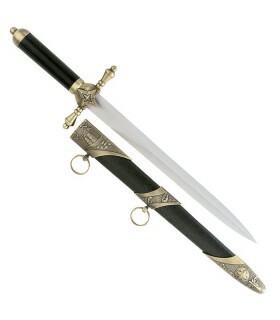 Fantastic dagger with sheath. 28.5 cms. 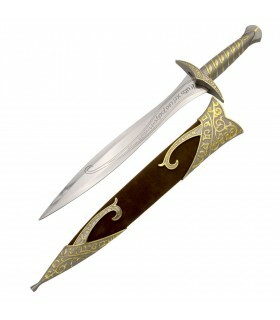 Fantastic dagger with wooden sheath and gold metallic finishes. 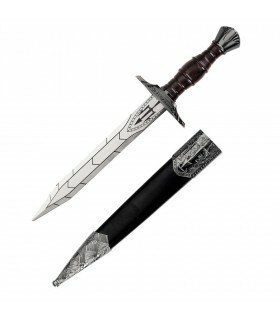 Fantastic dagger with sheath. 30 cms. 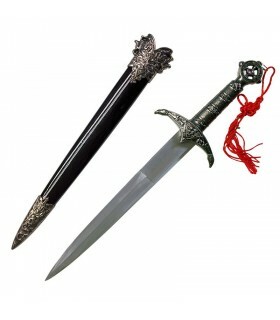 Decorative Merlin dagger with blade in stainless steel AISI 420 and handle in Zamak. 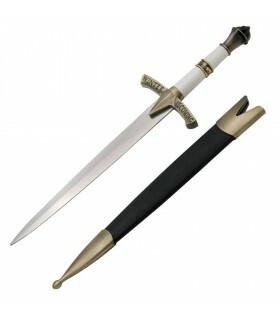 It belongs to the exclusive collection of fantastic daggers manufactured by Marto in Toledo-Spain. It includes a certificate of quality and origin as well as a seal certifying that it is made in Toledo. 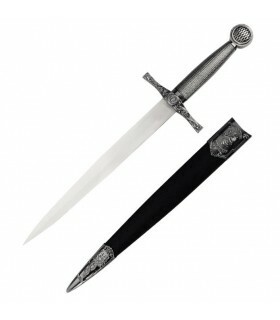 Fantastic medieval dagger with stainless steel blade. Includes decorated pod.